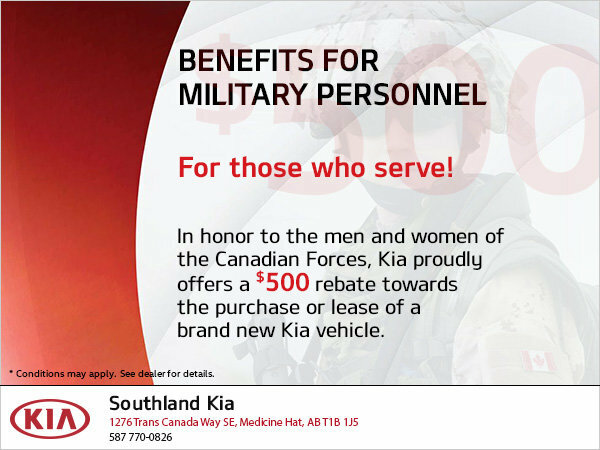 Come to Southland Kia today and take advantage of the $500 Military Benefit. Offer may only be transferred to a spouse or common-law partner but is otherwise not transferable at all. $500 can be used to reduce the selling price of the vehicle (before taxes). The applicant must meet the required terms and conditions.